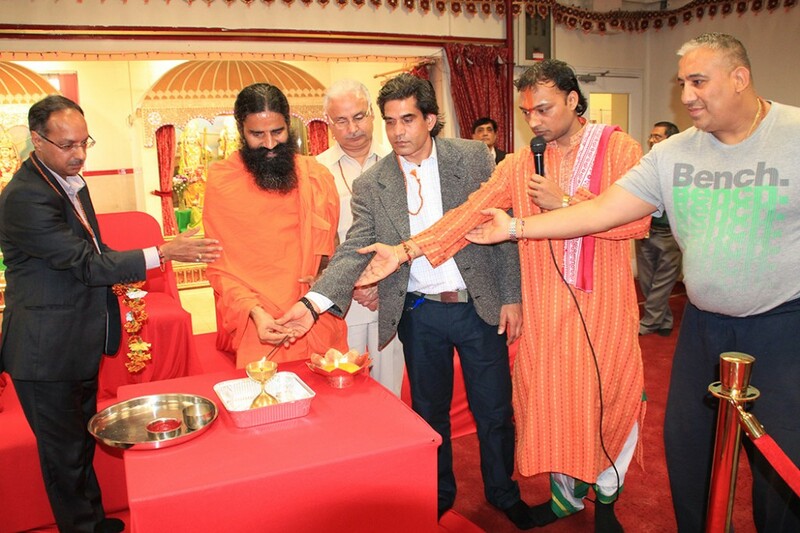 On Saturday 21st September 2013, Swami Ramdevji, 47, also known as Baba Ramdev visited Shree Hindu Temple in Leicester after the 10am Arti and addressed the devotees. Shree Hindu Temple & Community Centre, is honored that Swami Ramdevji, took time from his busy schedule to visit our temple and meet his followers and well wishers. Swami arrived at our temple after leading hundreds of people for early morning yoga class “Yog Shivir” at Maher Centre on Ravensbridge Road. Swami Ramdevji arrived at the temple accompanied by our chair of trustees, Dr. Bhimabhai Odedra and president Mr Bhikhubhai Kotecha. It’s the hard work and dedication of Dr. Bhimabhai Odedra that Swami Ramdevji attended the unscheduled visit to our temple on moments notice. 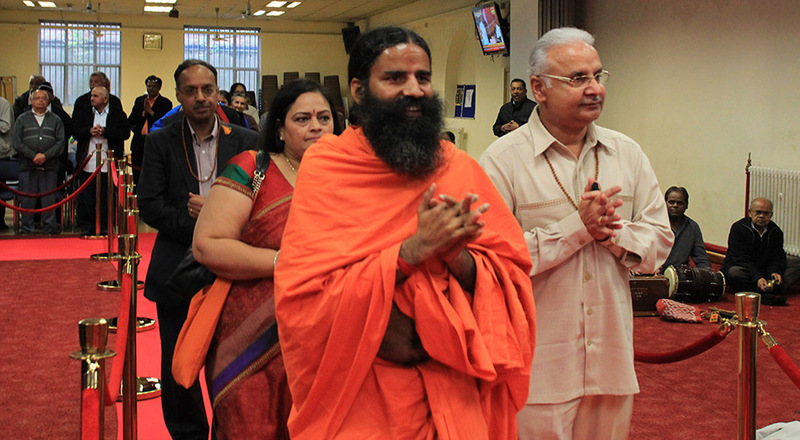 Also it’s very humble gesture from Swami Ramdevji to accept the invitation and honor the temple with his grace. On behalf of Shree Hindu Temple & Community Centre, the trustees, committee members, staff, volunteers and devotees. sincerely thank Swami Ramdevji for visiting and for his kind words.